90 Studies Prove Biosimilars' Safety And Efficacy: What Now? The biosimilar industry has 12 years’ worth of data from Europe, and ongoing clinical trial results for biosimilar candidates and real-world studies are being released regularly. As such, I find phrases like, “if switching is safe” and “if biosimilars do not lead to immunogenicity,” to be increasingly tiring. When I hear statements such as these, I feel the need to reach into my back pocket, remove a printout of one of the many real-world examples we’ve been privy to, and start dramatically reciting the findings. After all, the vast majority of information has demonstrated the hypothetical safety and efficacy concerns permeating the U.S. right now are just that — hypothetical. Rarely would I expect anything called a “literature review” to be on the list of the most exciting biosimilar developments of the month. 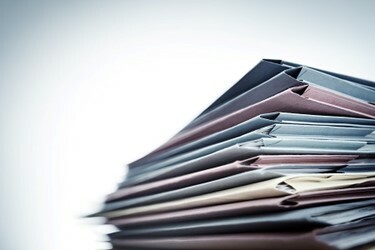 But in recent weeks, the biosimilar industry saw a significant publication — and I don’t just say that because the term “literature review” is exciting to the dominant right side of my brain. This review sought to answer two questions which have been plaguing the biosimilar industry since day one: will biosimilar switching have any impact on safety, and will biosimilars be the harbingers of increased immunogenicity? And it has provided us with far more than just answers to these questions. CMOs looking to capitalize on the biosimilars boom need to understand how to manufacture such a complex product in a cost-efficient manner. 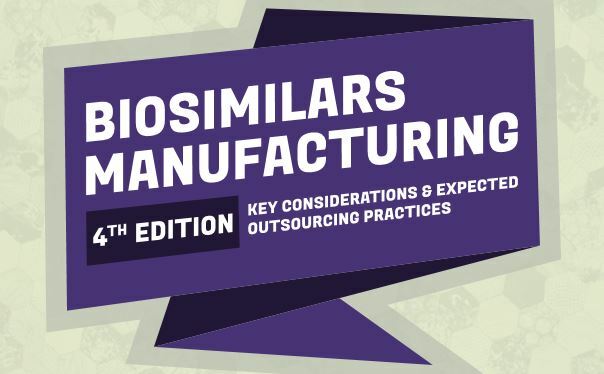 This is a preview file of a market research report that includes perspectives from outsourced manufacturing decision makers involving the selling and manufacturing of biosimilars, their expectations regarding how much biosimilar manufacturing is expected to be outsourced, how they feel about outsourcing to particular CMOs, and much more. When I write about peer-reviewed publications, I prefer to let the authors tell the data’s story rather than provide an in-depth summary. But I was struck by a few things. Though I’ve heard about literature reviews of a similar nature in the past (for instance, switching between biologics used to treat inflammatory diseases), there have not been compilations of data from a wide variety of biosimilar switching trials to date. As some experts have pointed out, the 90 trials varied in molecules studied, enrollment size, format, and statistical power and boasted different endpoints. Despite the fact these studies varied widely, they all still arrived at the same conclusion of biosimilars’ safety and efficacy — and that’s a powerful conclusion at which to arrive. Over the past two years, we’ve seen an increasing number of individual studies released demonstrating safety and efficacy of long-term biosimilar use. Back in 2016, the often-cited example was the NOR-SWITCH study which, for the first time, included single-switch data for Remsima (infliximab) in all extrapolated indications. That study was groundbreaking, as it established a baseline of knowledge for the industry and other stakeholders in support of biosimilar extrapolation and switching. As the industry advances, I think there’s demand for a more expansive, comprehensive baseline of knowledge. And this literature review is what I imagine will be the start of similar research in the future. For instance, the highlighted studies varied in statistical rigor, endpoints, and methodologies, which, as the authors wrote, kept them from pursuing a meta-analysis of all of the 90 studies. However, because the publication contains all the data from each of the studies discussed, there are opportunities to review this data and conduct meta-analyses of larger or smaller biologics that were studied using specific trial designs. There are also a few instances where we could stand to see more data. As the literature review acknowledges, there have only been a few multiple switch studies — three to be exact. There is also, to date, no published data on biosimilar-to-biosimilar switching. (I’m vaguely familiar with several pieces of anecdotal evidence — especially if we consider the use of growth hormone biosimilars in certain countries following tender changes.) I expect we’ll see more discussion about the legitimacy of this practice in the year or so ahead, especially as extrapolation and single switches become common and concerns evolve to more complicated prescribing scenarios. Seeing a review such as this is a large milestone for this industry. Consolidating large quantities of data helps make order out of the “chaos,” if you will. While I’m sure many of us could point to an individual study or two which demonstrates the efficacy of biosimilars, to have a set of 90 studies revealing the same information makes biosimilar safety and efficacy a hard truth to overturn. And for those who choose to dwell on the two outlier studies that raise questions to date, I’d redirect the focus to the authors’ choice to include this data and discuss it honestly, without making assumptions, claims, or excuses. In this industry, it’s important to accept the data — and that means embracing the negative data along with the positive data. I’d also like to see this study encourage greater inquiry from members of this industry overall. Whether it be creating meta-analyses or publishing and distributing results from multiple switching studies, there are benefits to be had. After all, as co-author Gillian Woollett of Avalere Health described, taking the time to organize and publish peer-reviewed articles about biosimilar experiences in other countries and the U.S. will be integral — specifically for physician knowledge. In the U.S., we’ve already been privy to data that revealed specialty physicians are more trusting of peer-reviewed publications as sources of information than they are of the FDA. Not to mention, peer-reviewed studies unpacking data from abroad also profit the U.S. market, which isn’t currently rich with data. Relying on data from more experienced countries will ensure we don’t unnecessarily “reinvent the safety wheel” in the U.S., said Woollett. In addition to the work companies can do, there is also a lot of chatter about biosimilar-to-biosimilar switching. While individual companies wouldn’t be the sponsors of this type of research, there are certainly other outlets. Organizations like the Biologics and Biosimilars Collective Intelligence Consortium (BBCIC) could be an option, given its dedication to post-marketing surveillance of biologics and biosimilars. (I’ve written about this organization in the past, and I urge you to become apprised of its important, time-consuming work.) I could also see situations in which integrated delivery networks (IDNs), which are their own pharmacy benefit managers (PBM) and have their own formularies and doctors, could play a role here. Kaiser Permanente has already seen success with biosimilar use, and, prior to Zarxio, with different growth hormones (which are considered reference product and biosimilars in Europe). IDNs are their own medical ecosystems, and, as such, some of the more quick-acting ones could be better equipped to highlight the impact of future biosimilar-to-biosimilar switching. Of course, this will all be an exercise in patience, as U.S. market share of and data for the two newest infliximab biosimilars is still too limited to tell us anything. But in the meantime, the authors of this newest lit review have helped the industry take a big step forward. Individual studies reinforcing biosimilar use are incredibly useful assets in this growing industry. With great distribution efforts and creativity on the industry’s part, the message relayed by these 90 studies should become very hard to overlook.